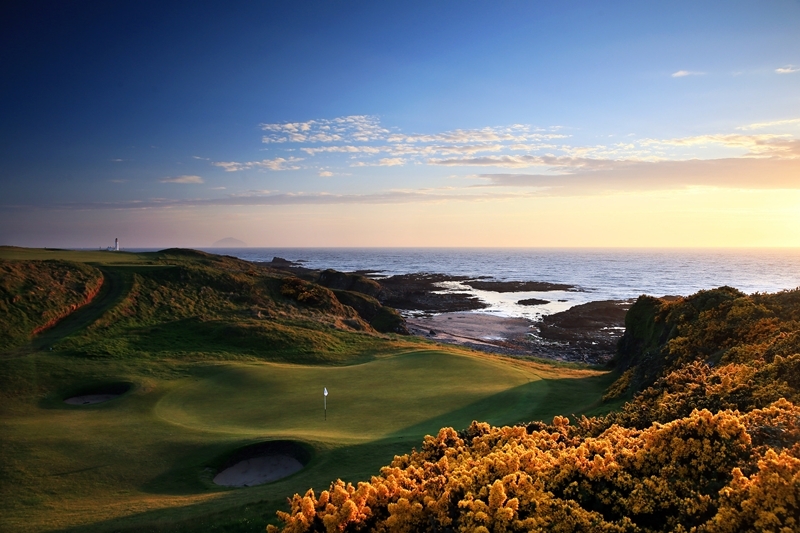 King Robert the Bruce replaces former Kintyre Course. Donald Trump's son, Eric, has opened the King Robert the Bruce golf course at Turnberry in South Ayrshire. Formerly the Kintyre Course, it has been redesigned and upgraded and forms the second course to the Ailsa. The course is named after the King of Scotland, Robert the Bruce, the historical warrior who led Scotland to claim its right as an independent country in the Battle of Bannockburn in June 1314. He was born in July 1274 in Turnberry Castle, and The Turnberry Lighthouse now stands amongst the ruins of this medieval castle. Eric and his brother Donald Trump Junior have been running The Trump Corporation since their father stepped down after being elected United States President. The par 5 1st hole has a split fairway for the second shot divided by central bunkers, with fairway bunkers distinctive with marram grass eyebrows which will contrast with the manicured perfection of the revetted greenside bunkers found throughout the course. An ecologically diverse wetland has been created in the area between the 5th and 13th holes and will become a haven for wildlife as it matures. The wetland will also provide a beautiful visual feature as well as offering a strategic playing challenge for both holes. 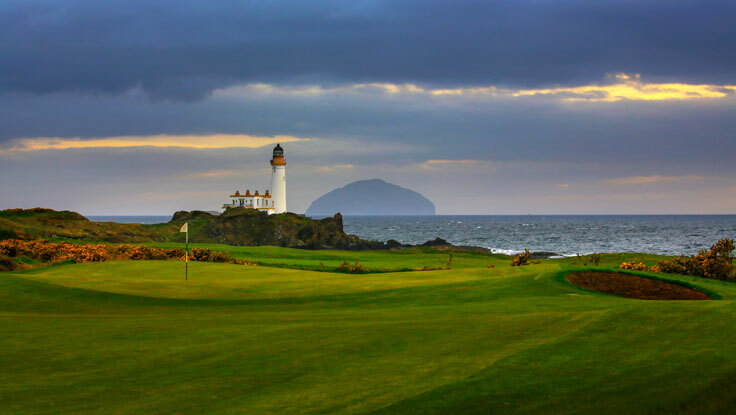 At the far end, atop Bain’s Hill, golfers will enjoy a stunning coastal stretch of holes that provides an extraordinary panorama of Turnberry, Ailsa Craig, Ayrshire, Arran, Mull of Kintyre and beyond. The rocky coastline will provide a tremendous visual and playing feature for these holes. The approach shot to the 9th green will be awe-inspiring with its green perched high above the waves crashing onto the rocky coastline. Completely new golf holes have been created at the 8th and 11th holes, transforming them both into exceptional par 5s with an unforgettable backdrop out to sea. The 11th tee shot will now have the famous Turnberry Lighthouse as its focus. The 18th hole is also a par 5 with a well-protected green and approach. With its location beside the clubhouse, golfers enjoying the hospitality of the Duel in the Sun restaurant, will have unrivalled views of this closing hole and will be able to appreciate the outstanding design as players take their final shots. 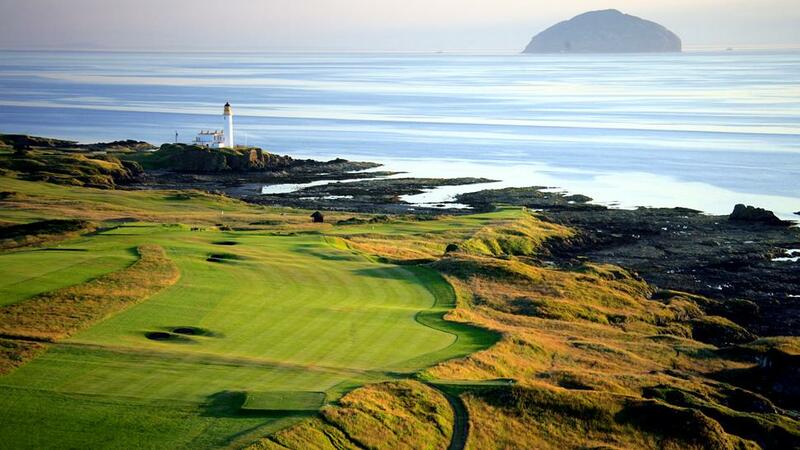 Golfers can join Turnberry for a special event on July 11 to celebrate the launch of its majestic new golf course. There will be prizes on offer, plus lunch. Teams of four cost £500.